1.Product Update: Pause & Play is here! It’s the season we’ve been waiting for: back-to-school! 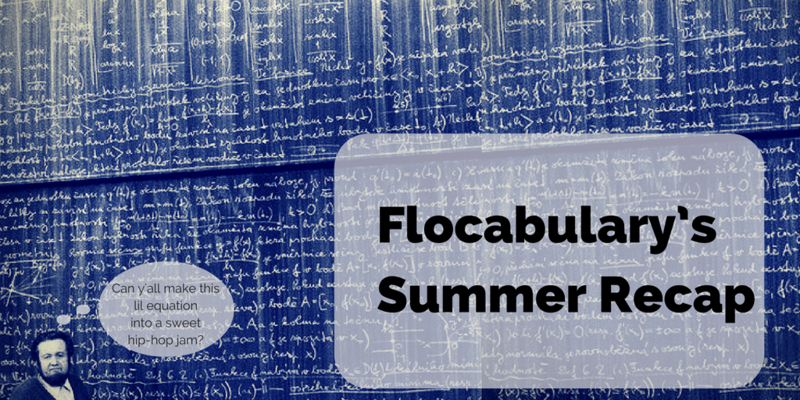 At Flocabulary, we’ve been busy working on new units, resources and features during the summer. Some of you are back to school already while others have a few weeks of vacation left, but either way, we’re pretty pumped for you to see what we have in store as you get back into learning gear this fall. 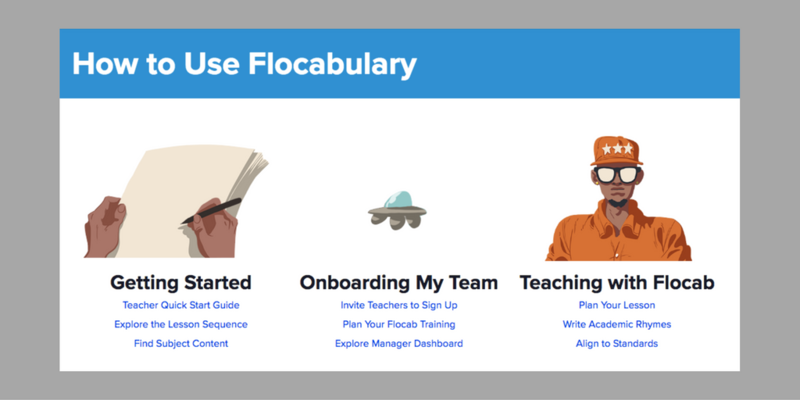 Here’s an overview of all the new features and content we’ve rolled out since May to catch up all the folks who haven’t logged into their Flocabulary account much during summer break. So without further ado, let’s get to recapping! 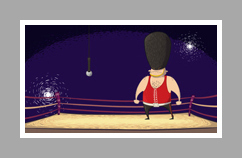 Built right within Flocabulary units, Lyric Lab allows educators and students to write their own academic rhymes. Our videos engage students, instructional tools let them master content, and now Lyric Lab places writing and creativity at their fingertips. Lyric Lab is available on all Flocabulary units! Learn more about it here. 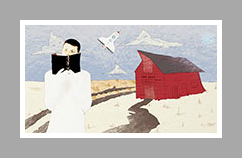 Read & Respond provides short, assignable reading passages and practice questions that are based on content presented in the unit’s video and lyrics. This new addition to Flocabulary’s instructional sequence empowers students to develop close reading and content area literacy skills and is available on select Flocabulary units. We continue to add the feature to more and more units (for a full list, check out this blog post). With Pause & Play, prompts and questions appear at specific points during a Flocabulary video to facilitate further discussion and exploration of the content. You can turn it on and off as you wish. Challenge your students to dive deeper and think critically with this new feature! Pause & Play is available on many – but not all – Flocabulary units, though we continue to add it to more all the time. Find a complete list of units with the feature in this blog post. 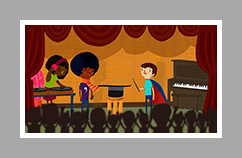 Use Lyric Lab, Read & Respond, Pause & Play and more in your classroom for 30 days. Free. In this video featuring a funny magician and an emcee who’s a grammar whiz, students learn to identify and form common contractions. The video explains how to form contractions with “not,” “will,” “am,” “are,” “is,” “have,” “has,” “had” and “would” by replacing letters with an apostrophe. Watch it now. How do scientists study the natural world? 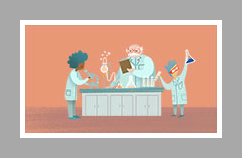 In this unit, students will learn the characteristics of science, the difference between science and pseudoscience and examples of scientific laws, theories and models. They’ll learn how scientific knowledge develops through a rigorous and iterative process and how that knowledge is modified as new evidence is uncovered. Watch it now. Personification is a powerful literary device. It can create a mood, reveal a theme and make imagery more vivid and memorable. In this video, you’ll learn what personification is and how to use it in your own writing, too. Watch it now. This video introduces the concept of percents as a way of expressing a part out of 100. It demonstrates how to express the same quantity as a percent, fraction and decimal and how to convert a percent to a fraction and to a decimal. The video then models word problems that involve finding the percent, given the part and the whole, and finding the whole, given the part and the percent. Watch it now. 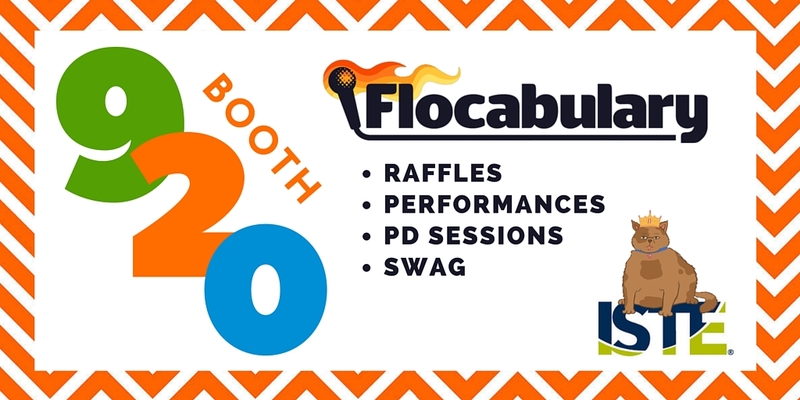 We also have developed new resources to support your instruction and implementation of Flocabulary since last school year. Explore our newest lesson plans, like this one on Parts of Speech for elementary school students, or this one on Word Choice for middle or high schoolers. Remember, you can find all of our lesson plans on Pinterest. Check out our elementary lessons here, and middle and high school lessons here. And don’t miss our new and improved “How to Use Flocabulary” page, which now has resources like a self-guided training (great for PDs), a tutorial video and even some free classroom decorations! Earlier this year, we rolled out the option for Flocabulary users to sign in with their Google accounts, giving all of the folks using GAFE an even quicker sign-on process to our site. This summer, we’ve added Office 365! 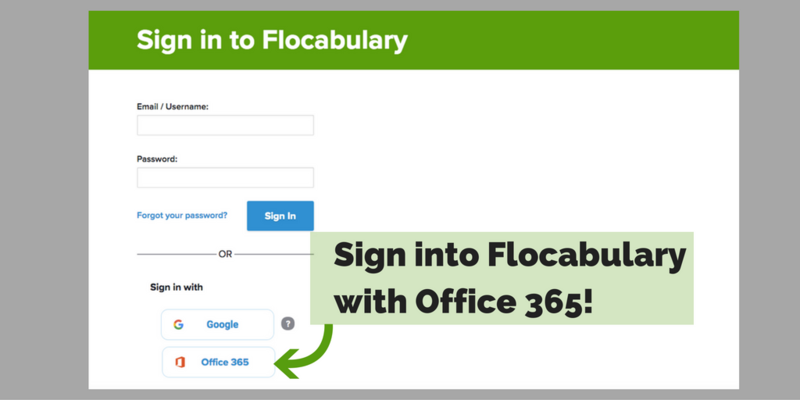 Enjoy a snappy login to Flocab, Microsoft peeps! As always, we want to hear your feedback! Look for the orange Feedback button on all of our pages (see it in the lower right corner), or leave a comment on this blog post, on Twitter or Facebook. Molly's love of education began when she landed her first job at age 17 as a preschool teacher's aide, where she changed countless diapers and led groups of toddlers in many a nursery rhyme. She studied communications, marketing, and education at Cornell University, where she wrote articles for university publications, co-hosted a radio show and led PR for a children's advocacy organization. After a stint in the crazy world of agency PR, she now blends her background in communications and her passion for education in her sales and partnership work at Flocabulary. When she's off Flocab duty, she can be found scouring food blogs and old cookbooks or traipsing around Alphabet City. this is really amazing at this website and the students actually like this website thank you for creating this website.